and any other pertinent information you can think of. Note: Absolutely NO discussions are to be made in this thread. Just post dyno results and graphs. Any discussion posts will be deleted immediately and without warning. + This is just my list, there are others! Last edited by themadhatter; 07-06-2006 at 02:16 PM. 3 gallons of 100 octane, 36 degrees out, 31% humidity, sea level track, track prepped that AM, Atco Raceway, March 2002. Mickey Thompson ET Drag 26"x10"
Last edited by MrBlonde; 08-22-2006 at 12:32 AM. Last edited by RAiMA; 01-27-2005 at 10:12 PM. There is a video too, its not uploaded though. Last edited by Concentric190; 03-12-2006 at 05:57 PM. VIDEO of the 11.88 run CLICK HERE right click, 'save as' please! Last edited by RPM69; 01-13-2005 at 02:26 PM. Last edited by hansmaester; 02-05-2005 at 12:22 PM. Dinan Supercharger @ 7 PSI, RMS Aftercooler, OBDI manifold, suspension Stage3, Exhaust. Alpina 18 Wheels, 10.0 MSL Head gasket, 1mm oversize valves and Head porting. 6 psi 1st, 8 lbs second 10 lbs 3rd. Last edited by Chbimmer; 04-11-2005 at 05:31 PM. This run was done without the current mods listed on signature before Aug 02. Full street setup with subwoofer box in the trunk. Tires: Worn down Bridgestone RE730 245/40/17 tires pressure 32psi. Last edited by M3TurboCa; 07-19-2005 at 11:40 PM. many all these times are impresive! this should have been a low 11 sec e/t but since the track was cold and my tires werent the best it killed my time, my mph was though. Last edited by BoostedBmr916; 01-15-2006 at 06:38 PM. Last edited by stefan325i; 12-20-2005 at 02:19 PM. 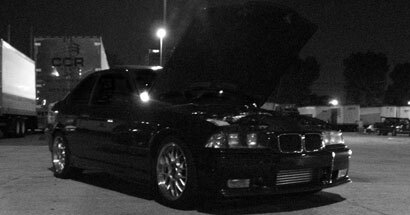 I know my car is the odd ball here on the FI forum, but hey it's a BMW. do you even know what a plethora is? 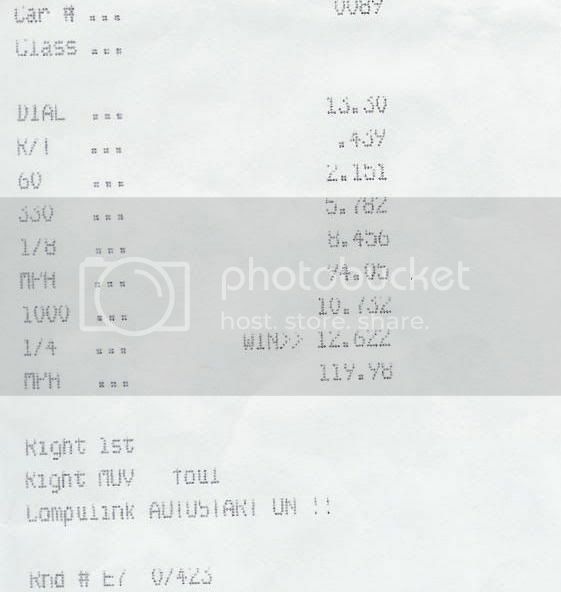 turbo kit by Nick G.
60' 2.19 ya i know bad!! my clutch could not hold the power. with street tires 255/35/18 in the rear.